Trail riding can be tough on your gear. The ends of your cranks take a lot of abuse as the trail rushes underneath you and your bike. Protect your cranks from any damage with Race Face crank boots. Made from a durable Race Face proprietary thermoplastic blend, leave doubt behind and go with the originator in crank end protection. Wrap it up and protect those tips! I have five sets of Aeffect cranks, three 175's and two 170's These fit the 175's perfectly but does not fit the 170's The Aeffect crank arms are all the same length but just drilled at 175mm and 170mm so because the holes are round and not oblong, these won't fit the 170's. No retailers say this. Only found out after looking on the Race Face site and it says 175 only. It was my fault for not totally researching this but don't want others to have to go through this. Simply product that does its job. I only wish that I had it before my first ride. I'll definitely plan ahead next time. The only problem is that it doesn't make me a better rider. These things are great. Really saving my cranks. 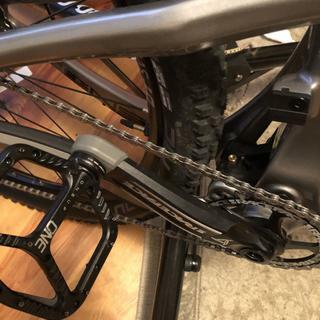 Fit Truvative Descendant cranks like a glove. Look good and work great. Excellent international service. Everything delivered in time and good condition. Perfect for keeping my cranks nice and new and not all chewed up from the occasional rock strike. Glad they make them in different sizes and colors. Fits well on my raceface aeffect cinch cranks. Looks integrated with the crank arm and unnoticeable boot yet great protection. These do exactly as they're supposed to and protect the end of the crank arm. Not much too it but to do it! Easy way to protect your crank arms from rock strikes. I insist on them for my carbon cranks, but have started using them on all of my mountain bikes. It just makes sense! Easy way to add a little color. I really like challenging technical trails, these keep the crank ends from getting beat to smithereens and looking beat up. Perfect fit easy install and removal. Jenson is always the best service and delivery. Customer for life. You don't need these till you pedal over an obstacle and hit your crank! 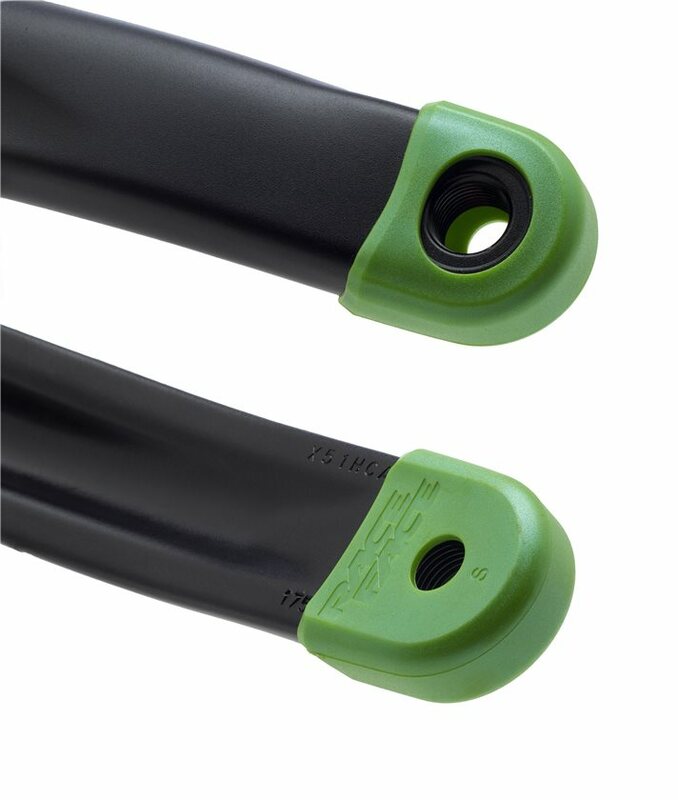 These are a must if you have carbon arms facing debris and obstacles! Easy to install as well. I have these on my enduro bike and there definitely crank end sabers. I ride a lot of tech rocky trails and there are a must own. Great product to keep your crank free from scratching. 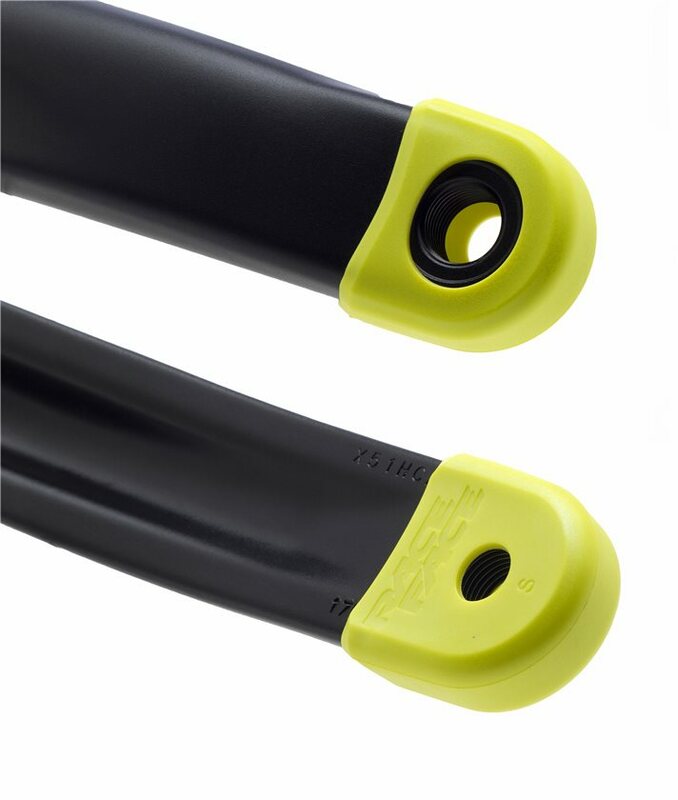 Easy way to protect your cranks if you ride in rocky terrain. Plus, they add a little bling to your bike. 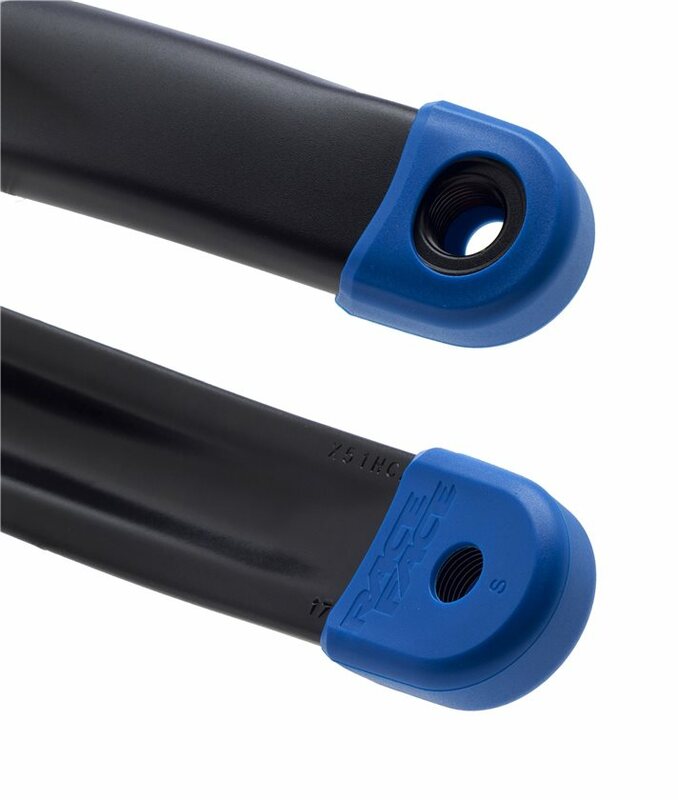 Buy a set that matches your bike and put them on your cranks. Just do it. First ride with them on, I smashed a rock. The boots show a little wear and tear, but the crank arms still look like new. I'm running it with an E.13 LG1+ cranks and they fit just fine. 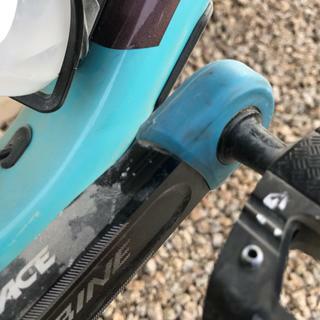 Living in Arizona, plus a low bottom bracket height newer bike geo, equals lots of rock strikes. These fit very good on Race Face Turbines 175. Glad I have them, as my crank arms are taking a beating. Great investment to protect your crank arms. Very tough. Get some. Good for protection and good looks too. Fits XTR crank arm. Does the job . Banged it up in the rocky Alps terrain and still intact. Durable. If you got carbon cranks these are a must. Great buy, without busting your wallet and your cranks. I bought a bike with a lower bottom bracket and know pedal strikes are in my future. I wanted something that's tough enough to protect my cranks and maybe lessen the impact of rock strikes. These fit my XTR M980 cranks very well. The hole to screw in the pedals is a little tight and barely worth mentioning, but it is only negative I can come up with. I'd recommended this product to all bikers equiped their bikes with expensive cranks. These boots are simple and cost effective protection for your gear. I recommend them. I purchased these for two bikes, neither of which had Race Face cranks. Even though they were made for different cranks, w/ a little widening of the holes these fit my SRAM alloy crankset just fine and do a great job of taking the brunt of those nasty rock strikes. Will be buying these for all my bikes. Like always, Jenson has awesome service and delivery. I pushed these onto the end of my cranks then screwed the pedals on. Then I went around smashing my pedal into rocks and roots like I do on every ride. These booties got scratched up instead of the crank. Stellar invention to protect your carbon crank arms! These also come in a size for aluminum crank arms. Durable! After three seasons of Tahoe granite they look a bit rough but no breaches. Another benefit (carbon or aluminum) is the softening of the blow. The confidence sapping "smack" is reduced to a "damn I thought my bottom bracket was higher" afterthought. Must have if you ride in rocks! A must for carbon crank arms if you ride in rocks at all. Easy to install, looks good, & very protective. I stumbled upon these while looking for an unrelated product, and bought two sets (one for my Surly ECR, and one for my Surly BFD). It's inexpensive and aesthetically pleasing protection for the beautiful Turbine cranks. Thanks, RaceFace. These work perfect on my RF aeffect cranks. I have a low BB and 175mm crank arms and these work perfectly. I recommend using them. Great fit great price! Definitely worth it if you just installed a brand spankin new set of high priced cranks. Very easy to install on my Shimano xt cranks and they look great as well. 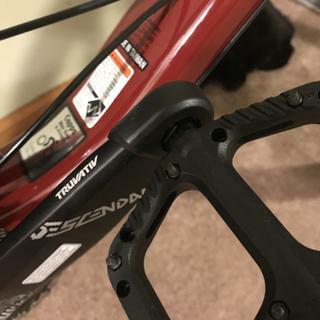 Will this fit RACE FACE TURBINE 30 cranks ? Will they fit GX eagle alloy cranks? BEST ANSWER: I tried on my aluminum x01 cranks with no luck. They are tight and aren't deep enough for the holes to line up. I believe they should fit? I installed then on shimano xt cranks, no problem. 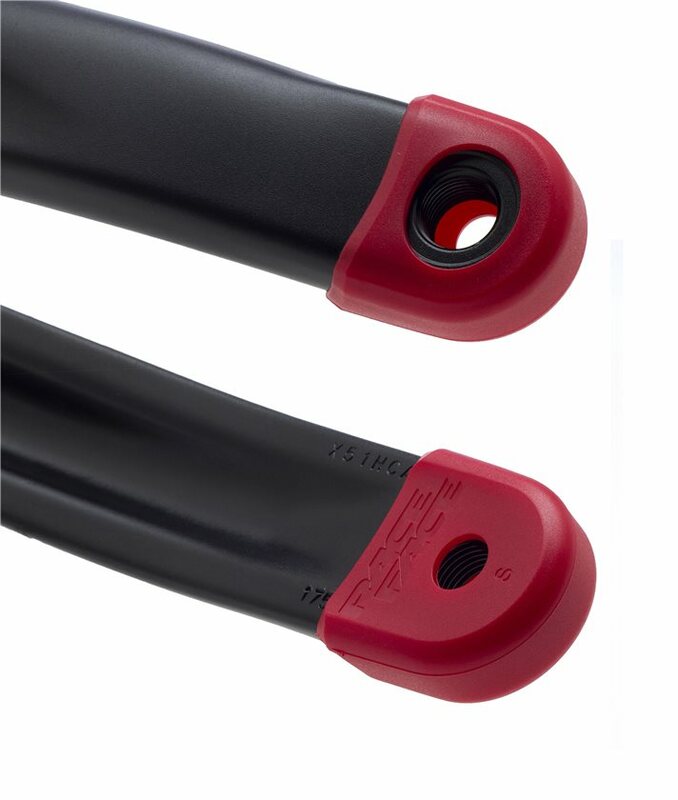 i bought a pair of these for my race face aeffect cranks and found that the holes for the pedal didn't line up. i was wondering if this was because i have 170mm cranks and not 175? BEST ANSWER: had the same issue. had to eventually enlarge the holes to fit. are they sold in pairs? BEST ANSWER: Yes, they come in a pair. Looking for a pair to fit Shimano XT FC-M8000 cranks. For the Shimano XT M8000 Cranks you want to get the SMALL size, the large are for carbon cranks. I use to run M8000 series and they fit perfect. The small RaceFace crank boots will fit. I have a pair on my wife's Shimano XT 8000 crankset. I have them on xt m8000 cranks and they fit really well! Better than I expected actually. Hey Daryn, I have them on that my fc m8000 crank. ???? Yea those will fit XT cranks. I put mine on a RaceFace Turbine. I think it should fit the XT’s. Yes they fit perfectly to those cranks. Will these fit the Race Face Ride cranks ? BEST ANSWER: Yes, I have a pair on my RF Ride cranks. I'm not sure. I put mine on Atlas cranks and they fit perfectly. 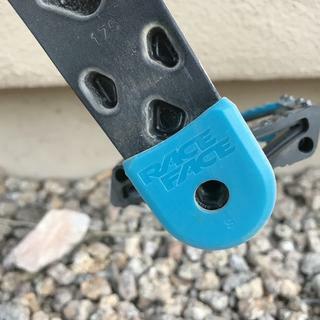 You should send Race Face an email. Will they fit SRAM NX EAGLE Cranks? BEST ANSWER: The SRAM NX cranks appears to be a tad bit wider than the race face. These fit flush on the race face cranks so I wouldn’t think these would be a perfect fit. They are sweet for RF though. will these boots fit the RF Aeffect crank arms? BEST ANSWER: I put them on the turbine cranks and I think they are pretty similar. I would call the guys at Jenson. They are pretty good with answering these questions. Is the green neon green or electric green? What about the yellow one - greenish yellow or normal yellow? BEST ANSWER: The yellow is closer to the hi viz yellow . Does it fit on FSA comet,24/38? BEST ANSWER: These are not crank specific and should fit most if not all alloy crank arms if it's a normal sized crank, the chainring size does not matter. What size should I get for my RaceFace Aeffect Cinch cranks? BEST ANSWER: These should fit any Race Face alloy cranks. You will need the size specified for Alloy Cranks. Is the Carbon version the same than the Allu version? I want the orange for my carbon cranks but it's only available in the allum section. BEST ANSWER: The carbon version is larger than the aluminum version. The aluminium version will not likely fit on your carbon crank.